“If I were offered a cochlear implant today, I would prefer not to have one, but that’s not a statement about hearing aids or cochlear implants. It’s about who you are,” Academy Award-winning Actress Marlee Matlin told Oprah in an interview. Throughout the years, cochlear implants have remained a very controversial issue within the Deaf community. For most Deaf people, cochlear implants are seen as tools that "fix" deafness and many believe that it is a way to cure deafness. For those who don’t fully understand the concept of cochlear implants, the UC San Diego Health Science explains, “Cochlear implants are devices that pick up sound and convert them into electrical impulses that travel down along a very thin electrode array that is surgically implanted into the inner ear (cochlea).” Cochlear implants are made to stimulate the remaining nerves to hear sound; it isn’t really made to make someone fully hearing again. 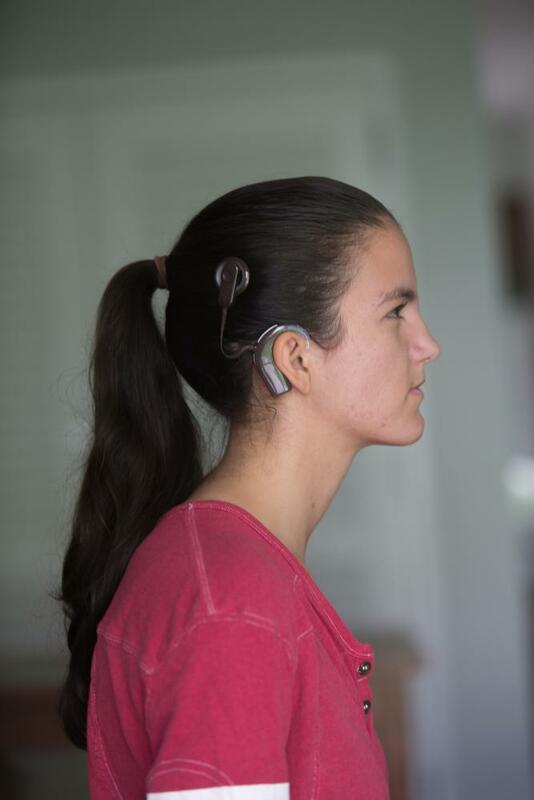 Being raised in a Deaf family, I have heard countless remarks about how cochlear implants are made to cure deafness or that it takes away a huge part of Deaf culture. I never realized the pros of cochlear implants until I sat down with Mimi Pickett and Sami Goonough, both first year RIT students. Cochlear implants are not made to cure hearing loss or take away deaf culture; like hearing aides, they exist as an aiding tool. Even though it is understandable for Deaf people to be so against the purpose behind them as they feel they are taking away part of the culture that shapes who they are, you don’t really get to hear the side of the people who actually support the idea of cochlear implants. “I feel like Deaf people who are against it feel like doctors are trying to force kids to hear,” Pickett commented. Pickett has lived with an implant since she was young and believes that having one has really helped her. “Without my implant, I would be lost. It would be too hard for me to focus and I would be confused if I didn’t have it,” she continued. “Children have the right to experience sound,” Pickett pointed out, bringing up the fact that some Deaf people refuse the idea of implants, even when it gives the child a chance to hear. If children have a chance to hear, it makes you wonder why people wouldn't support the idea. Still, you can’t take their deaf identity away from them fully because once that battery dies, they are deaf to the world again. Sami Goonough, who uses hearing aides, had a response similar to Pickett's when it came to the topic of implants. There is a lot of debate on whether children getting implants should be the parent's choice or the child's choice. "It's fine if the child gets an implant when they are young," Goonough said. "It will make it easier for the child." There will always be people for and against them, but a cochlear implant doesn’t define who you are. No matter how much or how little a person can hear, deafness will always be part of them no matter what. Deaf culture is what shapes a person to be who they are now, not a cochlear implant.